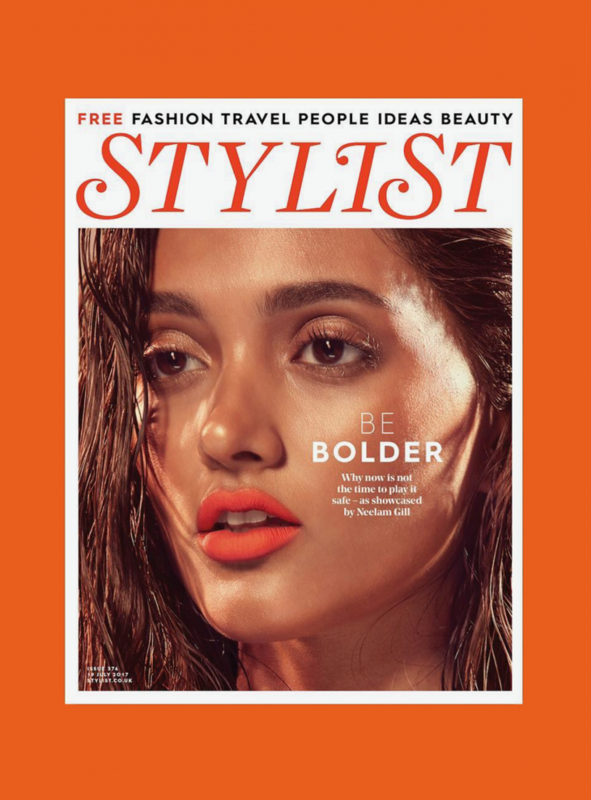 M1 cover girl and L’Oreal UK Ambassador, Neelam Gill, is front and center of this week’s Stylist magazine. The British-Asian beauty highlights the glossed and peachy looks of the summer with L’Oreal make-up but don’t be mistaken, this feature isn’t just about primers and powders. Neelam goes deeper inside the mag, discussing her experiences with racism and confidence within the modelling industry, telling readers how she’s managed to keep her head above the water. As she continues to utilise her platform as a model and rising social media star to inspire and uplift young women, Neelam remains a down-to-earth young woman with her eyes set on the future. We followed up with Neelam to chat a bit more about beauty and which members of the M1 team have model potential. Q: Your feature talks a lot about colour and how it can affect someone’s mood. What colour makes you feel the most attractive? Neelam: I would have to go with red. Q: Is there one makeup trend that you’ve ever been too scared to try? Q: Which look from your feature would you wear on a night out? Neelam: The orange lip look that’s seen on the cover. Q: If you could choose one celeb to swap beauty secrets with, who would it be? Neelam: Definitely Rihanna. She’s flawless and looks beautiful in every single look! Q: You’ve been a part of the M1 family for quite some time, which one of your fellow M1 models do you think is killing it right now? Neelam: I love Iskra! I think her body positivity movement is amazing. Q: Is there an up and coming M1 model that you’ve got your eye on? Q: Which M1 booker do you think would have the best runway walk?